Sasha Boutilier received the 2013 Evanston Outstanding Volunteer Award from the City of Evanston, Northwestern University, and the Evanston Community Foundation. He was nominated and selected based on his extensive commitment to sharing his time and talents with the Evanston community throughout his high school years, including as a martial arts instructor teaching weekly self-defense classes at 6 Evanston elementary schools for the past 4 years, as a Youth Program Leader and Gym Instructor at the “Music and More” weekly after-school enrichment program at First Presbyterian Church, as a teaching assistant at two innovative martial arts programs for youth with special needs and developmental challenges, and for his work with the Brass For Beginners program through the Music Institute of Chicago. Thanks for doing so much for the community Sasha! 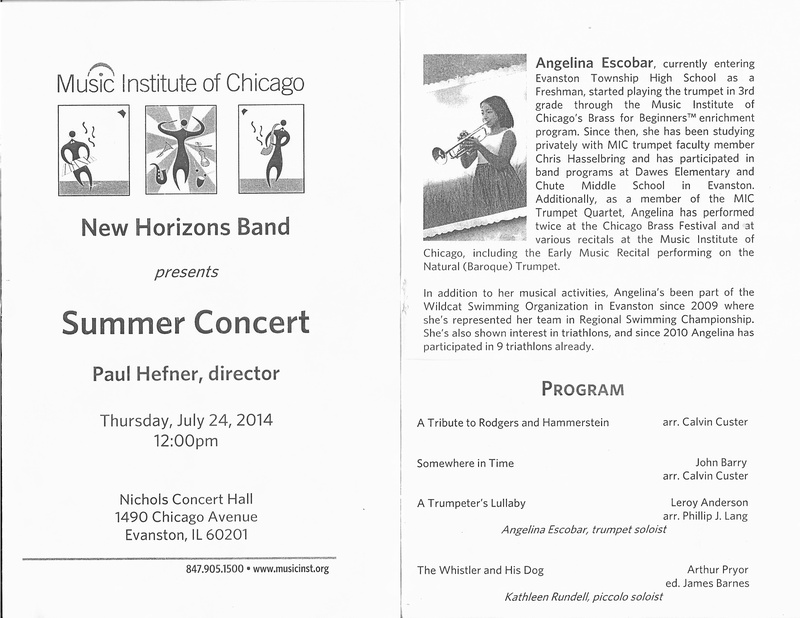 This entry was posted in MIC Student News on May 24, 2013 by brassforbeginners. 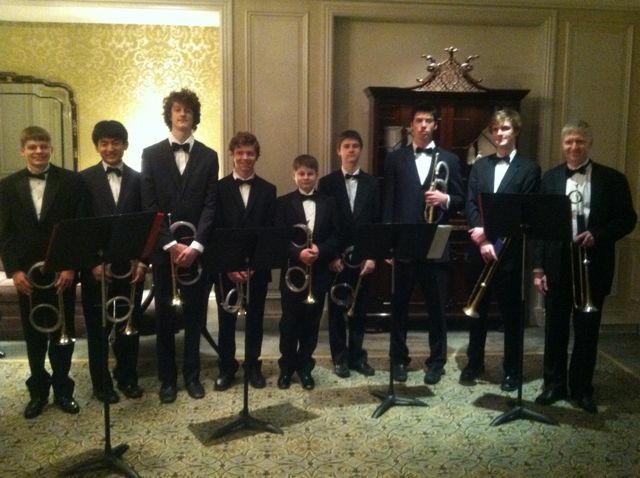 Many thanks to members of the MIC Natural Trumpet Ensembles for their performance at tonight’s Gala Fundraiser for the Music Institute of Chicago at the Four Season’s Hotel in downtown Chicago. The trumpeters ushered guests of the Gala into the ballroom before dinner- a welcome fit for a king! Enjoy some video and photos from the event. 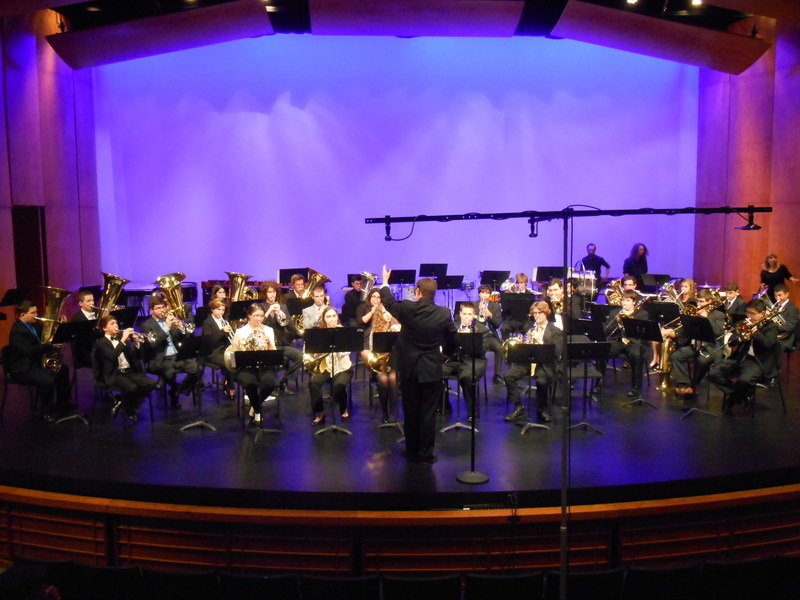 This entry was posted in MIC Student News, MIC Student Performances on May 14, 2013 by brassforbeginners. Michael was a finalist for the 12th Annual Jazz Improvisation Competition presented by the Union League Civic and Arts Foundation in February 2012. The final round was held at the Buddy Guy’s Legends blues club and Michael (youngest performer) finished third in his age group, winning $900 and the opportunity to play gigs in Chicago from March until next February with the other finalists. In January Michael was named an Outstanding Soloist at the Purdue University Jazz Festival, and earned a scholarship to the 2013 Jamey Aebersold Summer Jazz Workshop at the University of Louisville,KY. This past fall Michael was the first place winner in the Music Institutes’ Billy Strayhorn Songwriting Competition which was part of MIC’s three day jazz festival. 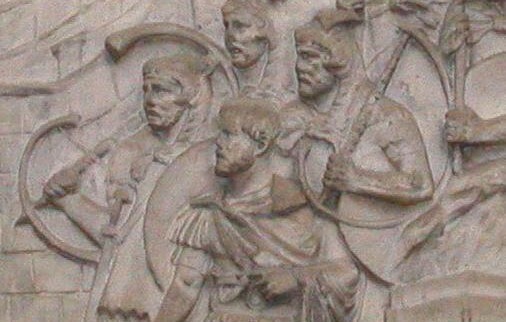 His original composition, entitled “Battle Cry” was performed by a group of professional musicians during the final concert of the festival. He won a $500 MIC scholarship. 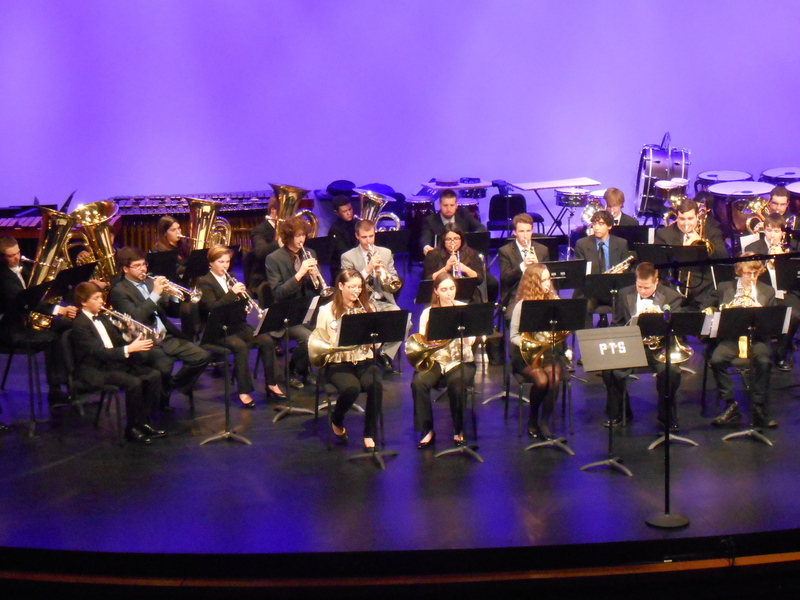 Also last fall, as a musician from Evanston Township High School Michael was named an All-District winner by the IMEA (Illinois Music Educators Association) and performed in the All-District jazz band at the Jazz Festival held at Lake Zurich High School. 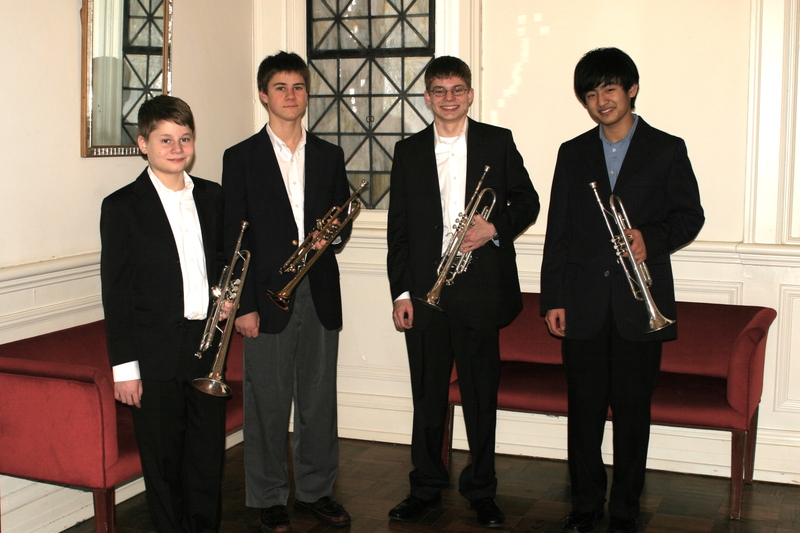 This entry was posted in MIC Student News, MIC Student Performances on March 15, 2013 by brassforbeginners. Congratulations on a wonderful performance of J.S. Bach’s Fugue in G-Major by the MIC Intermediate Trumpet Ensemble at last Saturday’s Chicago Brass Festival! 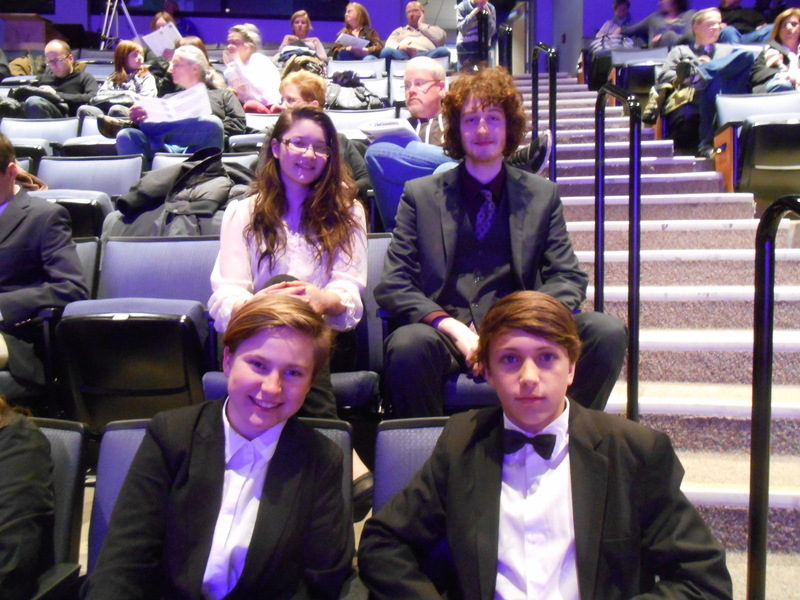 This entry was posted in MIC Student News, MIC Student Performances on March 11, 2013 by brassforbeginners.